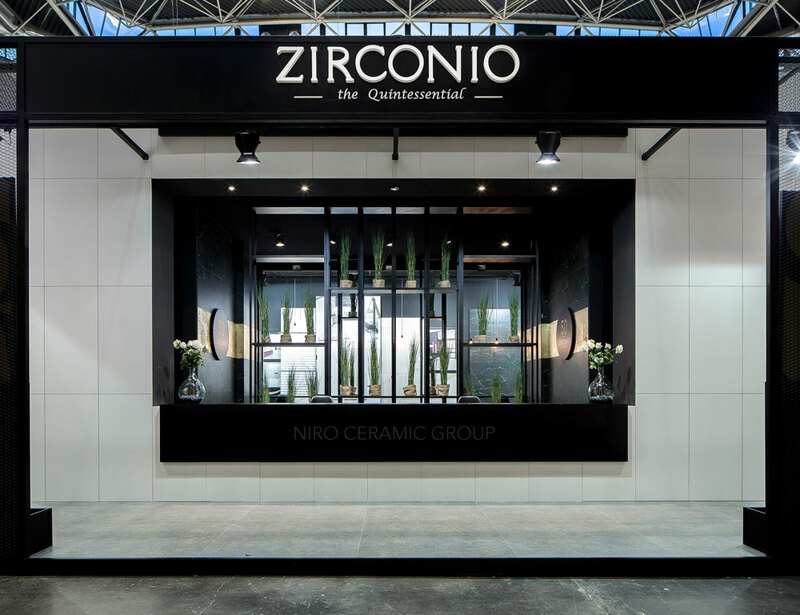 Once again we worked for Niro Ceramic Group to develop the design of their new stand for a trade fair. 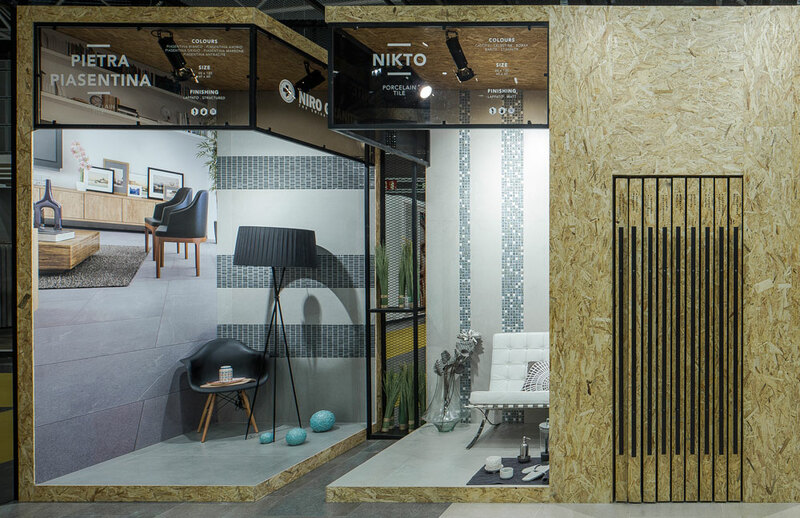 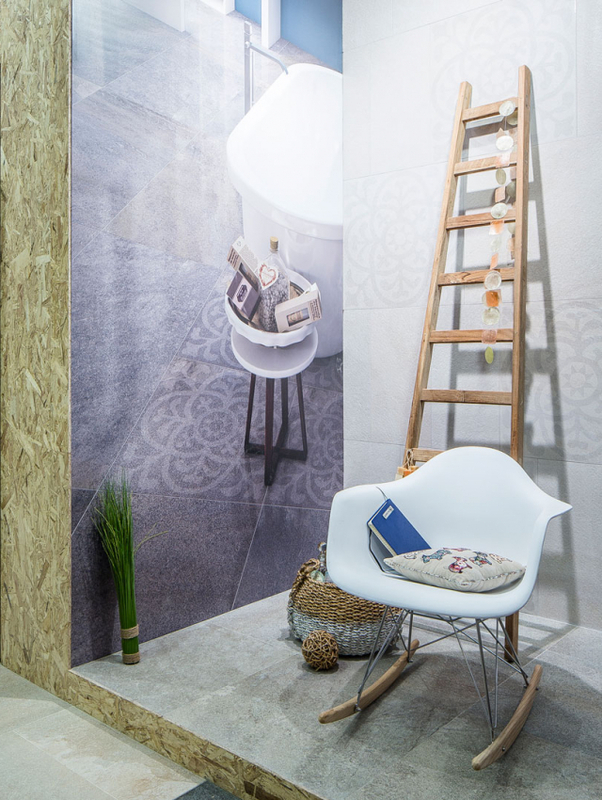 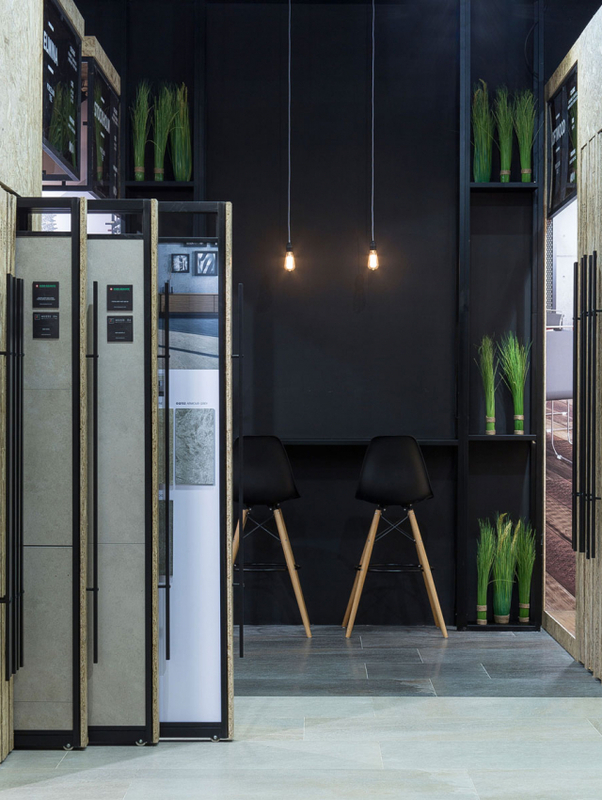 At Cevisama 2015 we kept the industrial feeling that was designed at Cersaie 2014, but we felt necessary to improve the stand look to a more sophisticated and stylish finishing so the result was a brand new stand design for Niro Ceramic Group. 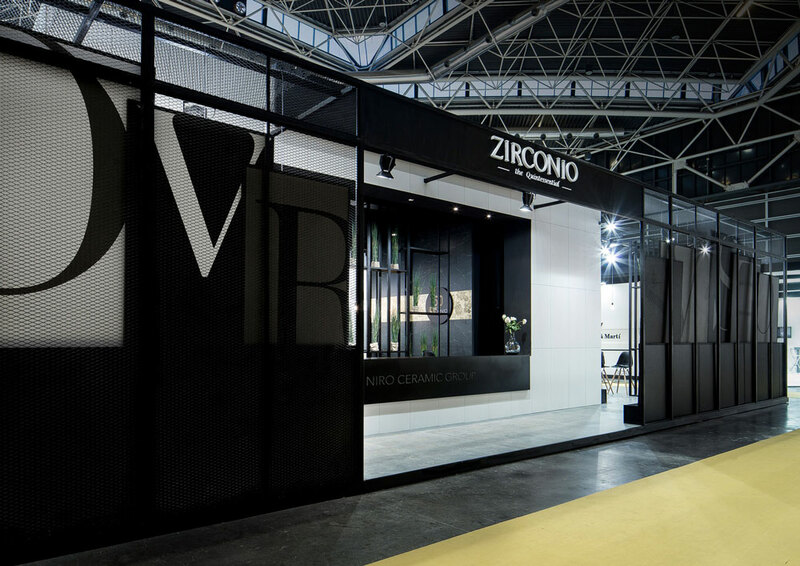 This time we presented the both brands of Zirconio & Niro Granite with a quite different style: we maintain the industrial look using a wood structure for Niro Granite and a completely new exhibiting system for Zirconio with black & white modules giving to the brand its own space as that year Zirconio celebrated its 50th anniversary and a special event was organized by us inside the stand. 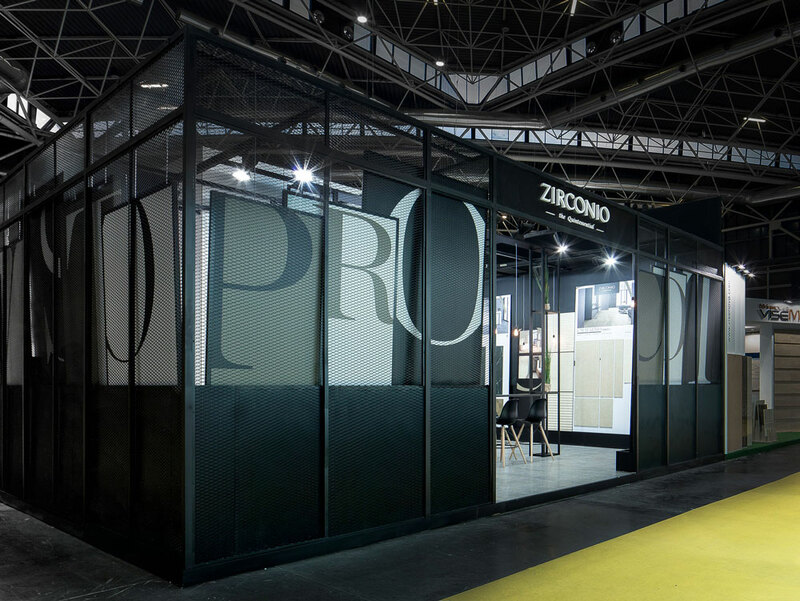 In the center area, we displayed a white structure for the common spaces as the meeting area, reception desk and warehouses.